The charts shows a huge traffic increase after moving from subdomains to subdirectories. We have decided to investigate by using web Archive. We found that in 2015, there were a http://jobs.monster.co.uk/ and also a https://jobs.monster.co.uk with no redirections between the two. It would be expected to redirect http queries to https. However, the canonical records were good. the canonical on http://jobs.monster.co.uk/ & https://jobs.monster.co.uk/ pointed to http://jobs.monster.co.uk/ . 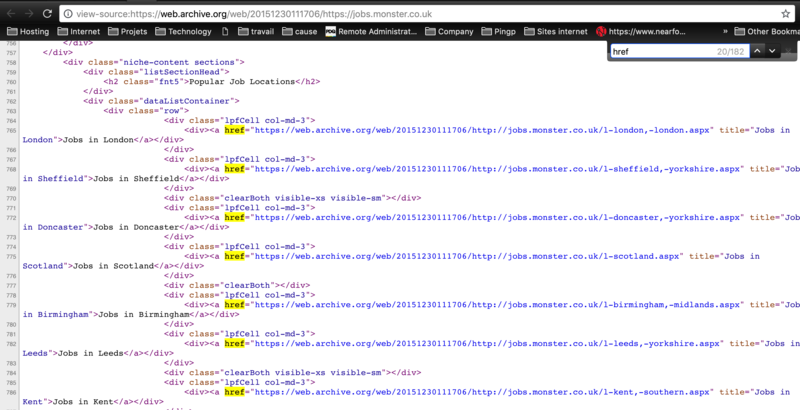 This meant that google had to index and show http://jobs.monster.co.uk/ in the records. The Sistrix report failed to show https://jobs.monster.co.uk in 2015 to show the difference with http://jobs.monster.co.uk. Furthermore, the traffic data ain’t taken from Google analytics but it is taken from their own SEO measurement tool. Furthermore, when we displayed the code of https://jobs.monster.co.uk we found that all the internal links were in http and not in https. It was mixed content errors. In mid 2015 we know that Google already checked mixed content errors. In conclusion, it is not guaranteed that the issue of jobs.monster.co.uk was related to the subdomain jobs.monster.co.uk.